Saturday was the London Metropolitan’s annual LGBTQ History and Archives conference, and, dare I say, I think it was even better than the 10th anniversary conference in February. I’m not going to report on the whole day, as I have a mountain of work to do before the end of the year (my upgrade interview from mphil to phd takes place tomorrow- eeshk), but I’ll highlight some of the speakers I found particularly engaging. Veronica McKenzie presented part of her film Under Your Nose which looks at the intersections between race and sexuality, and focuses particularly on the involvement of black lesbians in the 70s and 80s and the establishment of the Black Lesbian Group and the Black Feminist Network. You can view a clip from the film here. Catherine O’Donnell and Harriet Richardson from the People’s History Museum in Manchester, I’ve mentioned the PHM on here in the past. You can find more about the Pride in Progress? project on the blog. I look forward to being involved in the project in February. Surat Knan from Rainbow Jews was, as always, extremely engaging, and introduced us to Esther who shared her very moving story about being ostracised from an Ultra-Orthodox Jewish community in Stamford Hill. You can hear from her here. It was particularly moving to hear an oral history, which I’m sure all of us there were familiar with, in person, the workshop session allowed Esther to go into more detail, and I applaud her bravery for sharing her story with us. 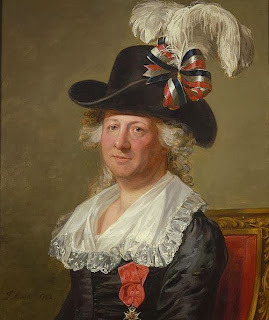 Dr Clare Barlow from the National Portrait Gallery spoke about the dilema of choosing appropriate pronouns in the text panels for the recent acquisition of a portrait of Chevalier D’Eon, who endured a very public change of gender in the 18th century. Ultimately, I think they made the wrong decision (they went for ‘he’), but the talk was an extremely engaging one and highlighted the complexities of framing non gender conforming people in the context of an art gallery. The day ended with Stella Duffy and our fabulous chair for the day Louise Chambers discussing some of the issues raised throughout the conference, and a brilliant performance by the Pink Singers. On Wednesday 6th November, the London Metropolitan Archives (LMA) LGBT History Club took its monthly meeting to the London School of Economics (LSE) to look at the Hall-Carpenter collection. The Hall-Carpenter Archives was founded in the 1980s to document the history of LGBT activism in Britain. It consists of over 2000 boxes of material, and most of the archives are post-Wolfenden Report. Rather than give a run down of the collections (which you can find here, as well as information how to access materials), I thought I would just highlight three things I found interesting from the sample of the collection that were laid out for us to have a look at. I spotted a copy of Gay Times that had an interview with Sinead O’Connor in it from 1988 (August, Issue 119), I’m a huge Sinead fan, so was keen to read the interview. In it, she was talking about performing at a Pride event, and said that while she was wary of benefit gigs (because she felt artists often only attended to massage their own ego), she wanted to do Pride because it felt like something that people only engage with if they really care about the cause. The interviewer, Rose Collis, said ‘in the true spirit of the day, Sinead’s expense claim for her performance was her young son’s babysitter’s fee’ (p38)- which made me love her even more. In the same issue I stumbled upon a quote that I found really striking in a letter about gay bereavement, which said ‘Those who love in secret must mourn alone’ (p27). A second thing that struck me was an article in Diva magazine from 1994 (June, Issue 2) called ‘Girls with Gun Glamour: can lesbians be camp?’ by Paula Graham. I found this particularly interesting because my supervisor and I often discuss how camp seems to be considered the realm of gay men, when we both consider it to be a trait more easily identified in women (think Hattie Jacques). In the article, Graham suggests that ‘”camp” has become a kind of glam-talisman against the spectre of “frumpy” feminism’ (p21) and she argues that ‘cross-dressing allows gay men to flirt with sexualised loss of control. Lesbians generally want more control, not less.’ Not sure I agree with either of those statements, but an interesting read nonetheless, which made me think of the book ‘Guilty Pleasures: Feminist Camp from Mae West to Madonna’ by Pamela Robertson, which was published just two years after this article was written, and is definitely worth a read. I thought I’d save the best til last. I looked at a report on a pilot study on attitudes towards homosexuality from September 1963, which was part of the Albany Trust (HCA/ALBANY TRUST/12/7), which was founded in May 1958 as a complimentary organisation to the Homosexual Law Reform Society with a remit to promote psychological health in men. The sample for the pilot was very small, around 24 I believe, and while many of the attitudes reported were negative, as might be expected for the time, most offensive was the way in which the report itself framed the negative attitudes. Apparently the study showed that there is ‘a tendency to think of homosexuals as amusing, or rather funny or ridiculous, rather in the same way as people might be inclined to think of dwarfs or small dogs, with a strong admixture of complacent and scornful superiority, although with surface sympathetic pity.’ (p12). I would be very interested to know if any of the interviewees had made the comparison with “dwarfs” or small (why ‘small’ specifically?) dogs, otherwise if it came from the people who compiled the report, perhaps they need to be interviewed in a pilot for attitudes towards short people… a good reminder that wording and language when analysing data from research needs to be considered and troubled! I highly recommend taking a look at the collections, we barely scratched the surface during the visit. I also highly recommend the LMA LGBT History Club, which I often mention on this blog, it provides a varied space for contesting, discussing and scrutinising LGBT History and archive collections. You can find more information here. Also, I have some exciting news, so keep your eyes on the blog for some LGBT History Month based excitement! I was alerted to a new app called Quist from this Huffington Post article, and thought (since it’s free) I’d download it and give it a go. I realise it is new, so I presume it will continue to develop and improve, but at a first glance I thought it was a nice idea, but a bit confusingly structured. The ‘explore’ menu allows you to browse the content by location or by date. Obviously there is not a great deal to explore so far, but I suppose the joy of apps like this is that they can constantly be added to, although hopefully this will extend to more of a wiki approach, to make the addition of material more democratic, wide ranging and fast. So it’s not groundbreaking in terms of technology, it’s fairly pedestrian, but hopefully could be the start of something quite exciting that allows people to create content, discuss, respond and explore a varied and less political/legal milestone driven approach to queer history.